Happy June everyone! I am sure you are as thrilled as I am to enjoy a little sunshine on your face. This June edition of the Dr. Joey newsletter officially has products and recipes you will adore. From healthy on-the-go treats, happy pillows and cleansing cold drinks – there is a lot to put a smile on your face. 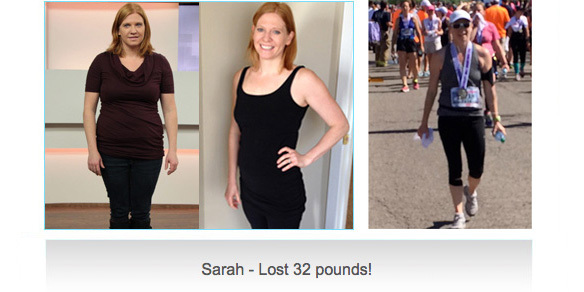 And... don't forget to check out how our Cityline weight loss winner Sarah is doing (outlined below). I am so proud of what she has accomplished! Wishing you a wonderful start to summer! Did you see Dr. Joey talking about how to lose the Last 15 on Cityline? If not, click here to view! The Metabolism Booster is Back in Stock! The ever popular supplement sells out extremely fast so we apologize for any delay. 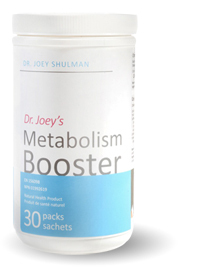 To learn more about the metabolism booster, please click here. SPRING PRODUCTS WE CAN’T STOP LOVING! 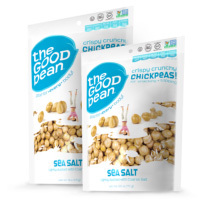 These convenient, on-the-go roasted chickpea snacks are a perfect afternoon snack option to throw in your purse or keep in your car. Good bean offers 7 flavours, including mesquite BBQ, Thai coconut, sweet cinnamon and sea salt! Each unique flavor offers 5g of protein, 5g of fiber, and 120 calories per serving. This crunchy and flavor packed snack delicious and chock full of nutrition! I must admit... I am completely hooked on Kombucha! Not only does kombucha boost my energy midday, it tastes delicious and is a great alternative to an afternoon coffee (which I have been off now for 23 days – but who is counting?) Each bottle uses organic and fair trade products and is made with a kombucha culture, giving it excellent health benefits. Kombucha benefits include being anti-inflammatory, improving digestion, gently cleanses and detoxifies, and hydrating. 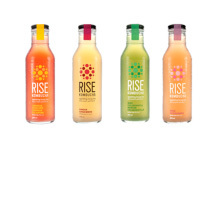 Flavors include ginger, mint chlorophyll, hibiscus rose hips, blueberry maple, rose schizandra and lemongrass. 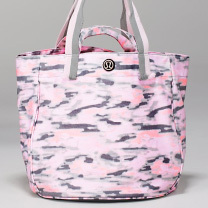 This pink cameo Lulu lemon bag is a summer must have! It is made with durable material, has easy-to-access pockets, two strap lengths and is reversible! It is the perfect bag to pack for a weekend getaway. Many of us know quinoa as a superfood, and this holds true for so many reasons – it is a complete source of protein, it is high in fiber, gluten-free, and is packed with vitamins and minerals. 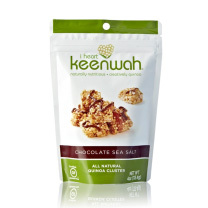 "i heart keenwah" has created delicious quinoa clusters that are filling, satisfying and use wholesome ingredients. With flavors like chocolate sea salt, peanut butter cacao, almond and cranberry cashew, you can't resist! Add an inviting touch to any room with Indigo's beautiful accent pillows. These soft pillows make for a perfect gift this summer. They are easy to wash and are sure to put a smile of anyone's face! In a large bowl, combine chopped lettuce, chopped arugula, tomatoes, corn, avocado and cooked quinoa. Add in salt, pepper, olive oil and lime juice, tossing well to coat. Sprinkle with hemp hearts and serve. Allow your tea to steep for 6-8 minutes in boiling water. Remove the tea bag. Mash up avocados with a fork until desired consistency. Stir in fruit, onion and squeeze lime juice in. Add sea salt and pepper until desired flavor. Serve with whole grain crackers. Hemp hearts are beginning to get a lot of recognition for the amazing benefits they offer... and they absolutely deserve the praise! 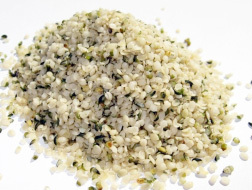 Hemp hearts are an easy to digest plant-based protein - 1 serving of hemp hearts (about 3 Tbsp) contains 10g of protein, 10g of omega-3 EFA oils, fiber, magnesium and iron. They are an ideal product to sprinkle on salads (see recipe above), cereal, oatmeal, or yogurt to enhance protein content. They are also great to add into smoothies, salad dressings, or homemade granola bars. You can even eat them on their own for a hit of protein and healthy fats any time of the day. Hemp has a slightly nutty flavor and work well with most dishes. You hold the power for change in your hands. Unhealthy habits can be broken. Inaction can become action. You can make a difference in your life. Adam Hart knows this because he has lived through change of his own making. Earlier in his life, Adam was facing challenges that many of us can relate to - depression, a life-altering medical condition and a smoking habit. In The Power of Food, Adam shares his story of how he changed his life. Learning about food and exercise, eating well and determination all helped Adam overcome his obstacles and achieve abundant health and happiness. 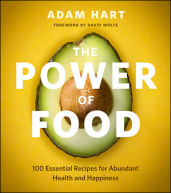 The Power of Food is a comprehensive, motivational guide to incorporating whole, living foods into our diet, delicious recipes that feature fruits, vegetables, nuts, seeds, grains and legumes as well as profiling 24 power foods. I truly enjoyed the recipes. In an effort to put an end to childhood labor in developing countries – mother and daughter team Niila Zanette and Sabrina have launched 'My Lungs Are Pink' apparel. With your purchase of a sweatshop free crop top, proceeds will go directly to help children effected by the dangerous conditins of mining. Check out my Cityline winner Sarah who lost 32 pounds on the Cityline weight loss challenge! Way to go Sarah and... thank you for the beautiful note! "I had a great day today and I wanted to share... I finished my first half marathon today in Niagara Falls. I finished in just under 2 hours and felt great. If you had asked me 6 months ago if I would be running a half marathon I would not have believed it. I owe a lot of my progress and strength to you and wanted to share. The funny part of the day was that my daughter saw my medal that all finishers received but believes a medal means I won! I can't say enough thanks for all the help you have given me in the progress to this point."